For a totally unique fishing adventure… try the MV Driftwood! 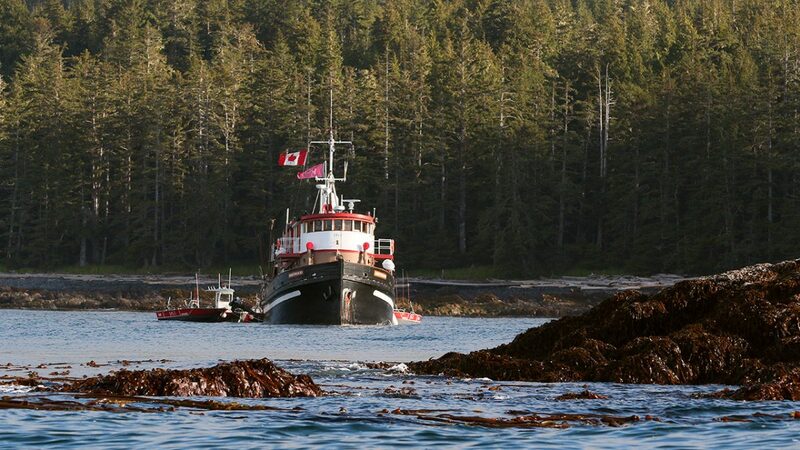 If you’d like a truly unique Haida Gwaii fishing adventure, the MV Driftwood has something special to offer. While you enjoy our trademark QCL hospitality and the many benefits of fishing with Queen Charlotte Lodge, this is no ordinary fishing trip! The Driftwood generally sits at anchor right on the fishing grounds in the quiet water behind one of the Bird Rocks. As the centre of our fishing operations during the day, it’s ideally situated to provide a nice lunch break for our guests. For those staying aboard the Driftwood, this perfect setting is home. They awake each morning with the unique opportunity to drop a line over the side and hook a Tyee Chinook before they even put their socks on! With virtually zero travel time, Driftwood guests typically are fishing long before anyone else arrives at our favourite holes. Choose to fish on your own or with a guide, we can accommodate your needs. And at the end of the day, while you’re enjoying a delicious dinner prepared by your own Driftwood Chef, your catch is being professionally packaged in our licensed processing facility back at the lodge. One of the most special things about calling the Driftwood home during your stay is that unique setting. The evenings are magical. All the other boats are gone, it’s all quiet. You’re hanging out with the whales, the bears and the birds, surrounded by pristine Haida Gwaii wilderness. Treat yourself to 4 days in paradise… check out the MV Driftwood. previousWHEN IS THE BEST TIME TO COME FISHING?